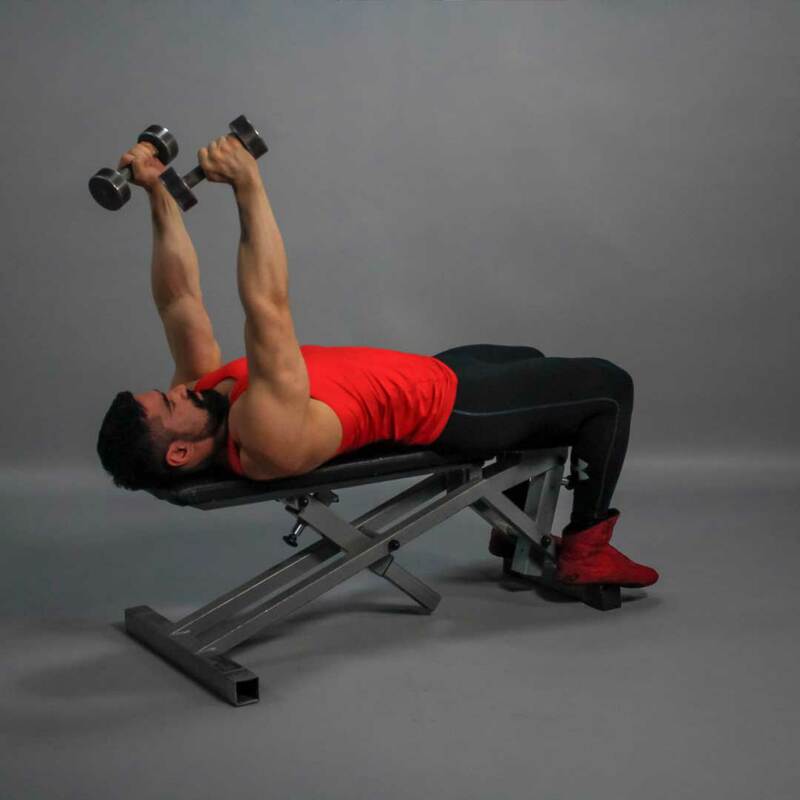 Lie on a flat bench while holding two dumbbells directly in front of you. Your arms should be extended up at a right angle from your torso and the floor. The palms should be facing in and the elbows should be tucked in. This will be your starting position. Inhaling and keeping your shoulders and elbows stationary, lower the weight down. Continue this movement until the dumbbells are near your ears level. Exhaling, return the barbells to the starting position by contracting the triceps. Precaution: Be very careful when selecting the weight. Too much weight could lead to injured or sprained ligaments. 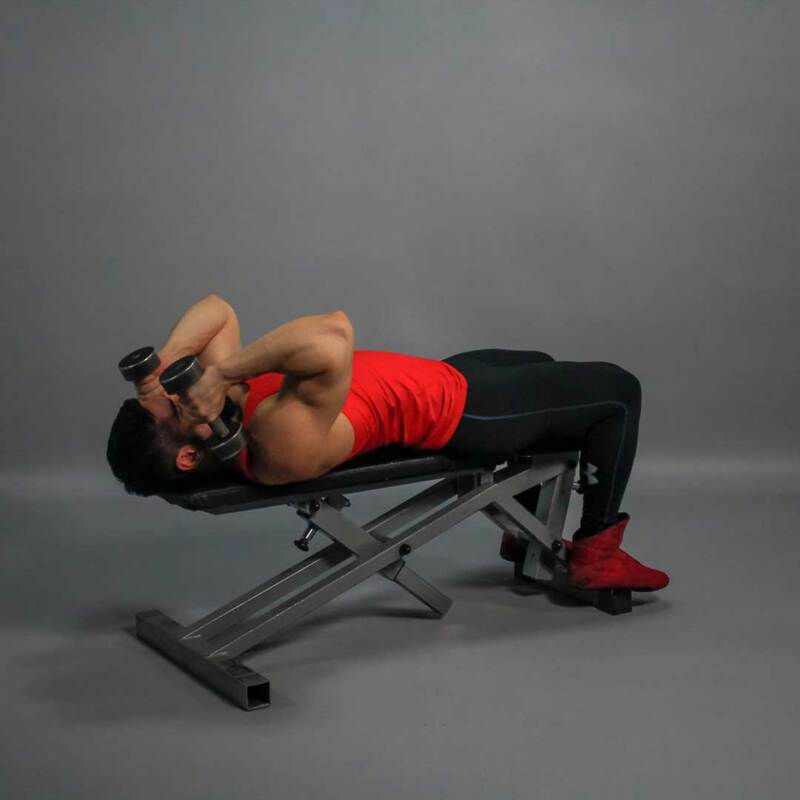 If you suffer from elbow problems, this exercise can be substituted with a close-grip bench press.